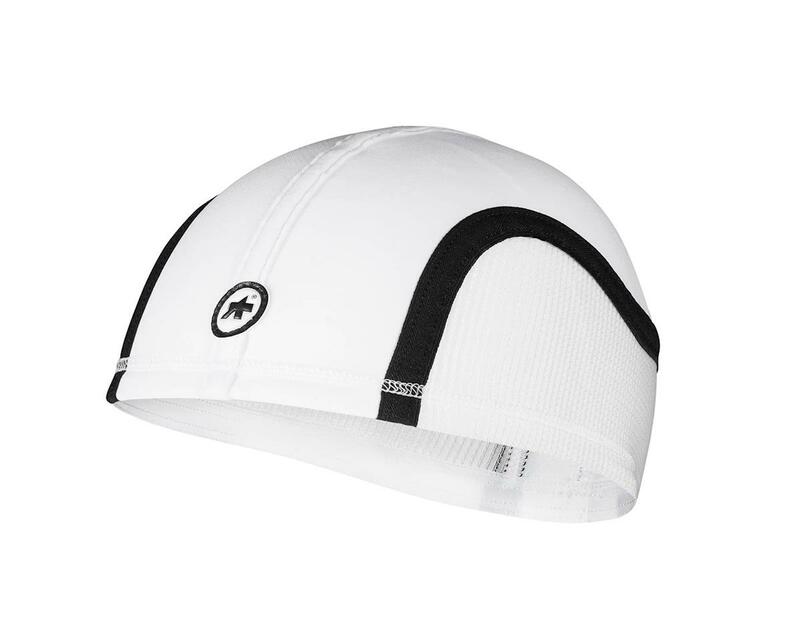 The Assos roboFoil Summer Skullcap is an ultra-light, sweat absorbing, sun protecting cap. Intelligently designed to wear under your helmet whenever you need optimal sweat transportation, thermo regulation, and sun protection. Made to be as light as possible, it uses two different interactive fabrics to perfectly contour to your head. Taped seams for minimal volume, no pressure points, and total comfort. This small accessory makes a huge difference in your comfort. Stop sweat dripping in your eyes, keep your head looking and feeling cool, and avoid a sunburned dome. Another "must have" summer accessory. UV protector and 50+ sun protection. O (Small) = 48-53cm / 19-21"
I (Med) = 53-58cm / 21-23"
II (Large) = 58-63cm / 23-25"